Scientists in India and the UK recently joined together to express solidarity with ex-employees and local residents exposed to toxic levels of mercury in Kodaikanal, India. Hindustan Unilever Ltd (HUL) is a subsidiary of the Anglo-Dutch multinational Unilever and is being held responsible for dumping toxic mercury close to human settlements, polluting the ecosystem and placing workers’ lives in danger. These actions relate to HUL operating a mercury thermometer factory in Kodaikanal between 1986 and 2001. According to a Government of India report submitted to Madras high court in 2011, 30 people died and 550 ex-workers are suffering due to mercury exposure. Indian scientists recently wrote to colleagues associated with the Unilever-funded Leverhulme Trust in the UK to pressurise Unilever to clean up the environmental contamination in Kodaikanal, a hill station in the southern state of Tamil Nadu. In turn, international scientists doing research with the Trust wrote a strongly-worded letter to Professor Gordon Marshal, director of Leverhulme Trust, questioning the credibility of Unilever’s sustainable living plan and its environmental policy. Kodaikanal perches on a plateau at 2,133 metres in the mountain mists of the Palani Hills. Eucalyptus trees stand tall and cascading streams spill down rocky facades. Cypress, acacia and fruit trees sit next to rhododendron, magnolia and dahlia, and the glorious Byrant Park botanical gardens roll gently down towards the town’s beautiful, tree-lined lake. Apart from the apparent unplanned sprawl across the hillsides, the occasional garish eyesore and the tourists who bring their boisterous city habits with them from the plains below, Kodai is still quite genteel by Indian standards. It’s also highly atmospheric when the mist comes rolling in across the mountains and hovers above the lake. The downside is that despite the lush greenery, the abundance of fruits being grown and the chocolate box cottages dotting the slopes and around the lake, much of the nearby forest has been felled and the vultures, foxes, wild forest fowl and other wildlife have all but disappeared. The other downside is that in 1983, a mercury thermometer plant owned by Cheseborough Ponds Inc in Watertown, New York, closed and relocated to Kodai under the ownership of Ponds India Ltd. In 1998, Ponds India merged with Hindustan Lever, which imported the glass and the mercury primarily from the US and exported its thermometers to the US-based Faichney Medical Co. From there, the thermometers went to markets in the UK, Canada, Australia, Germany and Spain. 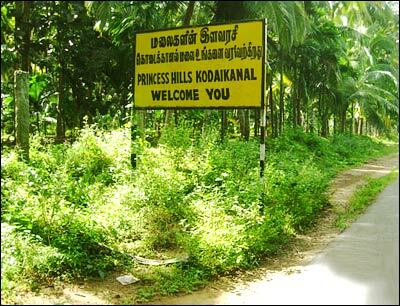 In 2001, residents of Kodaikanal uncovered a dumpsite with toxic mercury waste from the factory. The 7.4 ton stockpile of crushed mercury-containing glass was found in sacks spilling onto the ground in a scrap yard. Mercury-containing waste was also found dumped in parts of the shola forests within the company’s property (sholas are hallowed forests because of their high biodiversity and role as watersheds). The findings led to a march to the factory gates by more than 400 residents from the area and marked the beginning of a saga that is still ongoing 14 years later. The factory closed in 2001 after 18 years of operation. Air and water-borne mercury emissions have contaminated large areas of Kodaikanal and surrounding areas. A study conducted by the Department of Atomic Energy confirmed that the Kodaikanal Lake has been contaminated by mercury emissions. The causes were reported to be dispersal of elemental mercury to the atmosphere from improper storage and dispersal to water from surface effluents from the factory. Moss samples collected from trees surrounding the Berijam Lake, located 20 km from the factory, were also tested. Mercury levels were in the range of 0.2 µg/kg, while in Kodaikanal Lake the lichen and moss levels were 7.9 µg/kg and 8.3 µg/kg, respectively. Fish samples from Kodaikanal Lake also showed mercury levels in the range of 120 to 290 mg/kg. An environmental audit commissioned by the company admitted that the estimated offsite discharge to the Pambar shola forests is approximately 300 kgs. Additionally, 70 kgs were released through airborne emissions. Just one gram of mercury deposited annually in a lake can, in the long term, contaminate a lake spread over 25 acres to the extent that fish from the lake are rendered unfit for human consumption. Plant workers and Greenpeace India maintain that the company’s figures of mercury discharges to the environment are grossly underestimated. HUL has been accused of considerable legal manoeuvring to avoid paying compensation to the ex-workers and their families, many of whom died or have become physically impaired. Responding to claims that mercury exposure in the workplace may have damaged workers’ health, the company conducted a medical check-up in March 2001. It concluded that no workers in the factory suffer from any illness which could be attributed to mercury exposure. However, a preliminary health survey conducted by two occupational and community health specialists from Bangalore-based Community Health Cell on 30 workers and ex-workers found many people had gum and skin allergy related problems which appeared to be due to exposure to mercury. More than 1,100 workers worked in the factory during its life-time. From their testimonies, workers appeared to know nothing about the dangers of working with mercury. There was no safety equipment for the workers and neither were there proper facilities to bathe clean after working in the factory. They were not provided with face masks to reduce their intake of mercury in the air and changed uniforms only once every three to four days. Contract workers were said to have worked with their bare hands to clean up the mercury. The workers also supposedly took home on them particles of mercury that affected the members of their family, including their children. Workers began to suffer headaches, skin rashes and spinal problems. With no knowledge about mercury, they failed to link their illnesses to it and absenteeism and attrition increased over time. Once released into the environment, Mercury can cause severe damage to kidney, liver and other vital organs. Exposure on a regular basis can cause skin diseases and damage the eyes. Mercury also affects the nervous system and organic compounds of mercury can cause reproductive disorders and birth defects. Some 18 ex-workers are reported to have died due to illnesses that can be traced to exposure to mercury. Nine children of former workers have died. Many more workers and their children continue to suffer the effects of mercury poisoning. Miscarriages and children born with congenital ailments and severe mental and physical disorders continue to be reported among the workers and their families. The fish in Kodaikanal Lake are contaminated, which has caused the loss of livelihood for many people. Water as far as Madurai, a major city about 130kms from Kodaikanal, has been contaminated. That’s no surprise because the contaminated water from the mountains was bound to flow onto the plains below. Levels of mercury in the soil outside the factory indicate an elevation of 25 times over the lowest reading, and 250 times over permissible limits. A Department of Atomic Energy study found mercury levels at 1.32 microgram per cubic metre against the normal level of 0.5-10 nanogram per cubic metre; effectively an aberration of between 132 to 2,640 times. While the company has taken limited steps to clean up its former site, the wider environment of course remains contaminated. In June 2007, the Madras High Court constituted an ‘expert committee’ to decide on the mercury workers’ health claims, which failed to find sufficient evidence to link the current clinical condition of the workers to past mercury exposure in the factory. However, the saga still drags on today. In March 2015, former workers at the factory staged a demonstration in the town demanding compensation to those persons whose health had been affected because of mercury waste. They claimed the company had reneged on its assurance to provide compensation to the affected workers. Aside from the issue of compensation, the protesters wanted HUL to remove the rest of the waste from the factory and provide appropriate monitoring and health care and called for a boycott of Hindustan Unilever products. Last year, a UK-based campaign group raised questions over Unilever’s activities in India during its annual general meeting in London. Protesters challenged the company’s executive board over the issue. Protests and court cases have come and gone since 2001, but there is an impasse. While Unilever claims to adhere to high environmental and social responsibility standards, the company’s behaviour in Kodaikanal suggests otherwise. High in the mountains of Tamil Nadu, there lurks a story that is all too common across the world: the shifting of production involving hazardous materials and practices from Western countries to cheap labour economies (with lower standards regarding workers’ rights and health and safety), resulting in exploitation and health and environmental degradation, which is never properly held to account. It happens in the name of profit and because corporations cannot easily get away with certain practices elsewhere. ‘Bhopal’ arguably being the ultimate example. There is much talk of ‘sustainability’, ‘the environment’ and ‘social responsibility’ from well-paid public relations executives which finds its way into glossy brochures or onto company websites. When all is said and done, actions speak louder than empty rhetoric.